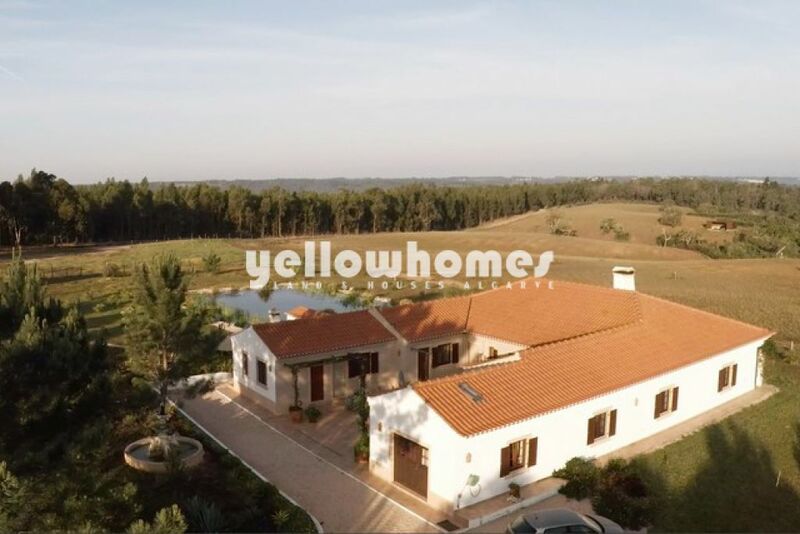 Here we offer you a beautifully renovated Villa with approx 10 ha of land near the village of Odeceixe, San Miguel, Alentejo. 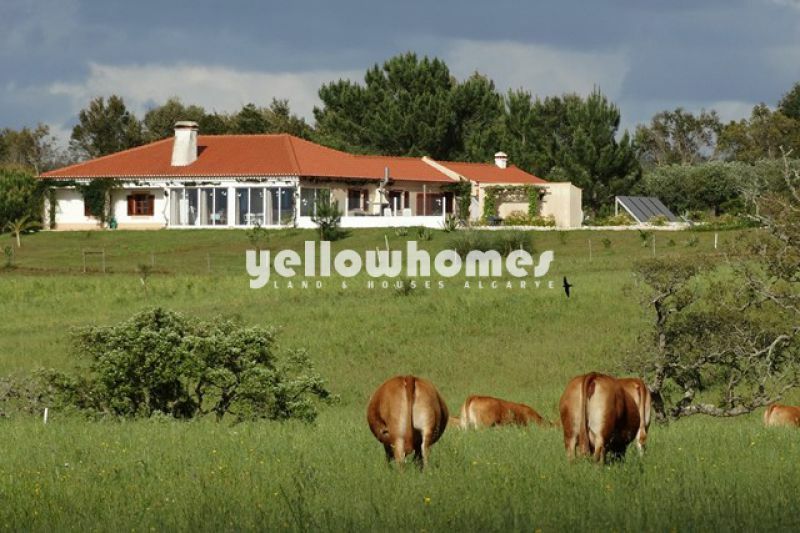 This property has been fully renovated in 2007/8, is self sufficient with solar panels for private electricity use and a private lake and borehole for the water supply. 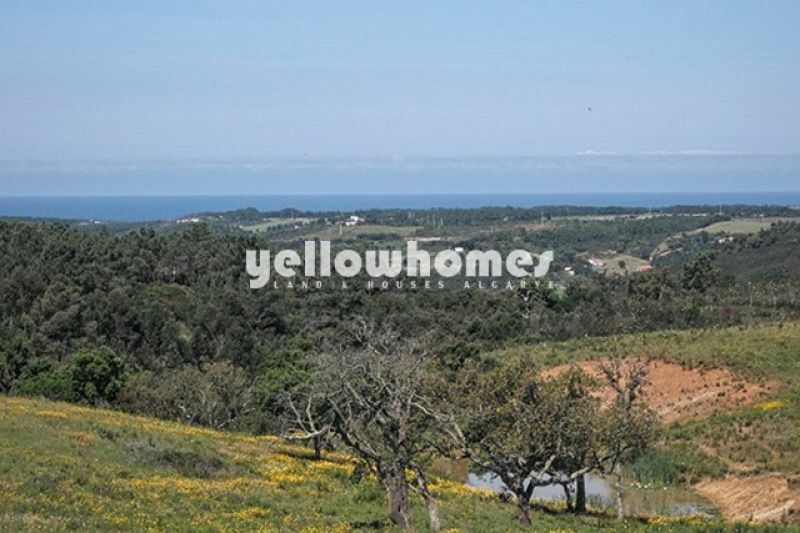 It is surrounded by absolute peace and beauty, 3 kms from the village of San Miguel-Odeceixe in the countryside. This property is ideal for those who like to keep horses, or sheep as they will have their own heaven on earth. 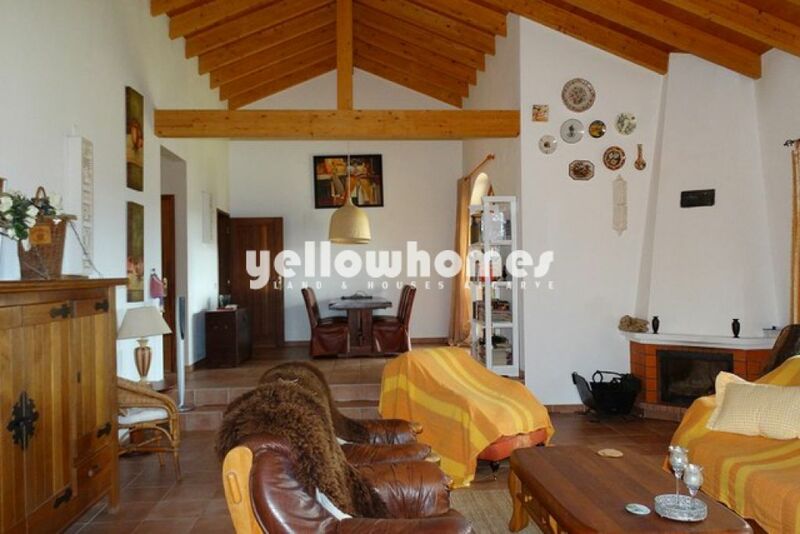 Access to the property is via a lovely driveway with ancient olive trees. The main property comprises of a spacious split level living room and open fire place, seperate dining area all leading to a lovely bright winter garden to enjoy the spectacular scenery. 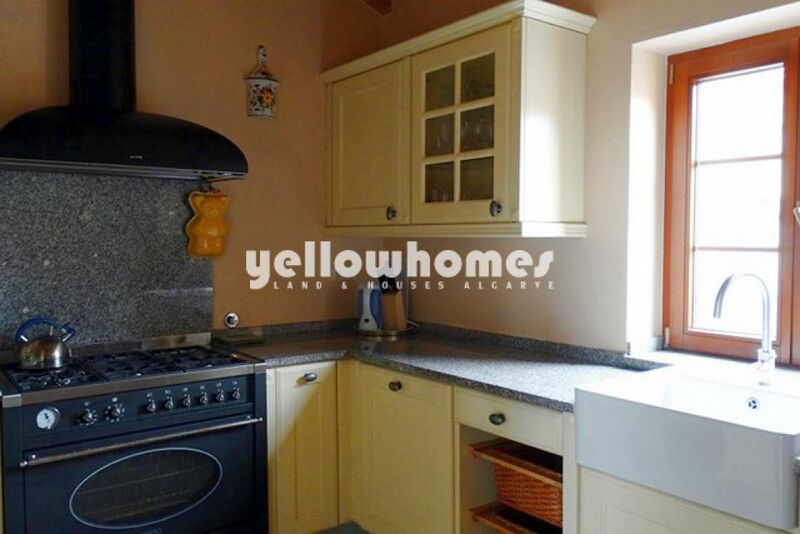 Furthermore a well designed and functional kitchen with extra storage area. It has 2 good size bedrooms and a 3e possible bedroom / office space. Two nice bathrooms plus a guest toilet. There is a self containing 1 bedroom apartment with private bathroom, plus a large studio with mezzanine and kitchenette. The property has many nice terraces, especially the one overlooking the wonderfully salt water swimming pool (12x5m). is a true sun trap. The house itself was built to exact standards with 42cm thick walls with cork insulation to ensure proper and good insulation for all seasons. 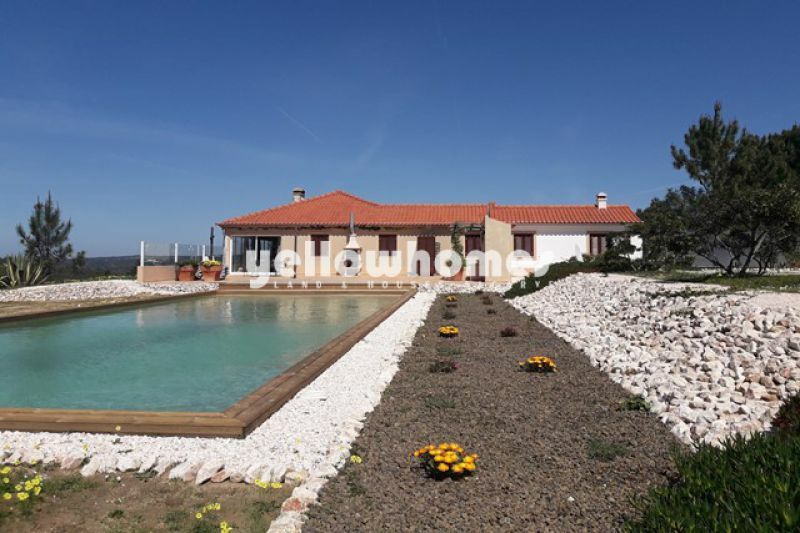 This property has been designed to allow for permanent living or even to have a small B&B guesthouse with horse riding activities. In any case...a must to see!!! smack in the middle of mother nature with privacy abundant.!!!! Energy certificate class C.